Our Pediatric Office - Old Bridge, NJ Pediatrician - Pediatric and Adolescent Associates of Central New Jersey, L.L.C. *Additional appointments beyond the office closing time listed above are at the discretion of the physician on-call. In the event you need to contact us after the office has closed, please contact our answering service or the St. Peter's pediatric call center as instructed on our phone message [(732) 316-0900]. Depending on the time of your call, your message with either be forwarded to the physician on call or appropriate advice will be given to you with follow-up from the office the next morning. The hospitals that we are on-staff at include St. Peter's University Hospital and Robert Wood Johnson University Hospital. The office of Pediatric and Adolescent Associates of Central New Jersey, L.L.C. 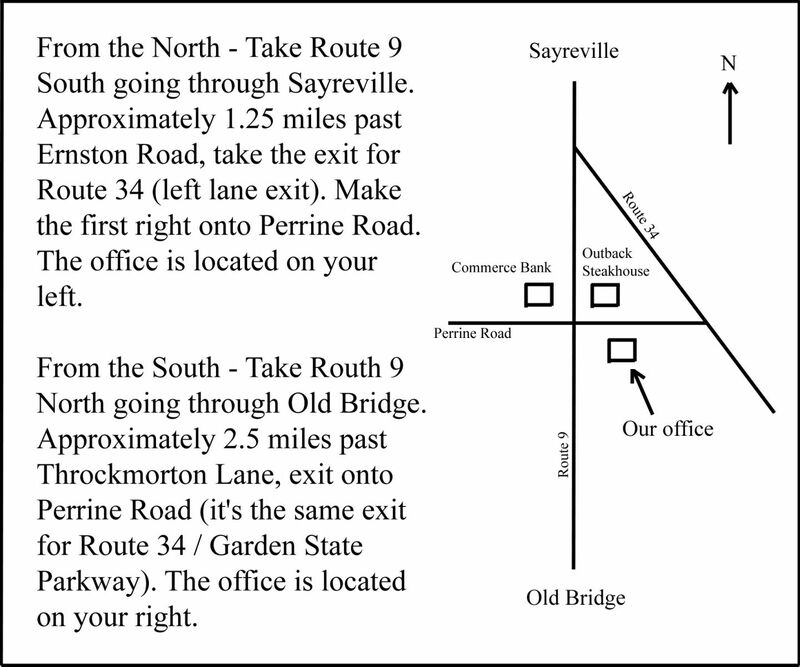 is located at 100 Perrine Road, Old Bridge, NJ 08857, across the street from the Outback Steakhouse restaurant on the northbound side of Route 9.